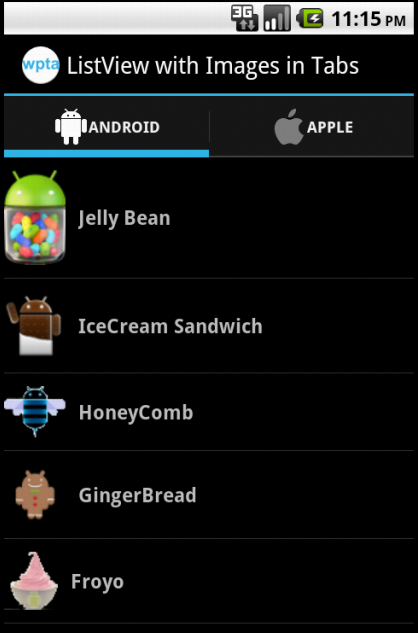 In this article, we will see a set of Android applications that uses tabs for their navigation. 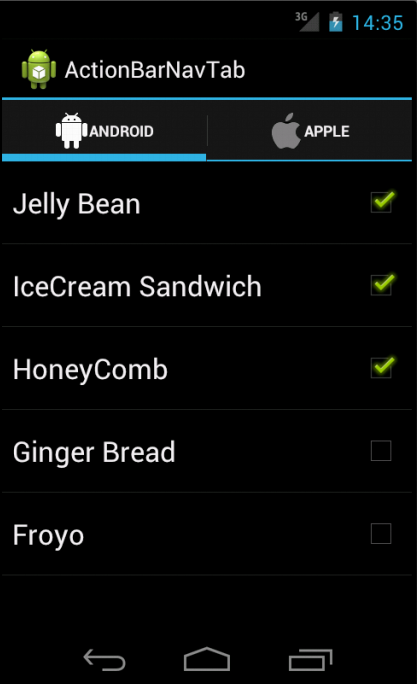 This application exemplifies, how to add navigational tabs to Action bars in Android versions Honeycomb and its higher versions. This application will not be executed in pre Honeycomb versions. Suppose we want to implement tabs with Action bar, please go through the next article in this series. 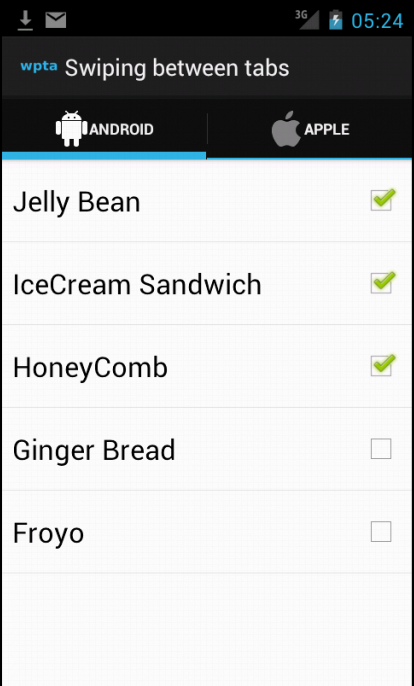 In this article, we will set how to add navigation tabs to Action Bar since pre Honeycomb versions. 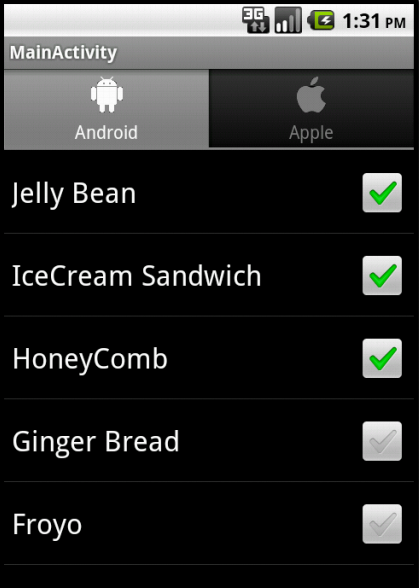 We are mkaing use Sherlock library to implement action bar and navigation tabs in pre Honeycomb versions of Android. In our previous articles, we have seen how to add navigation tabs in Action bar. In those applications, we need to tap the tab titles to switch from one tab to another tab. In this article, we will see how to switch from one tab to another by swiping horizontally. 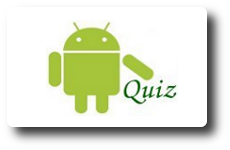 This application can be executed in Android versions since Pre Honeycomb. In this application, we will see how to implement swiping between tabs in Action Bar using View Pager in Android Honeycomb and its higher versions. In this application we will create tabs with TabHost and fragments. In this application, we will create tabs containing Listview with images and text. Is that any possible to make two tab host in one screen. one tab host is on top of the screen and second tab host is bottom of the screen..?